I am an outdoor / landscape photographer, photographic and creative educator, accredited Adobe Education Trainer, speaker and mentor. I specialises in exploring the landscape including, importantly, human interaction with and shaping of the landscape to explore visual storytelling. I find great inspiration from working in projects both short and long term. I have always been passionate about black and white photography but also explore colour when it suits the image or project. I love to explore themes and personal interpretations / notions of self, place, space and journeys within the landscape which is very much an experiential response to my education as a Geographer. Saturday 30th April this year see the 9th annual photographic exhibition bought together under the name #Connected at Patchings Art Centre in the glorious Nottinghamshire countryside has become home to this renowned event over the last 5 years giving over its entire Pavilion Gallery for a month (23rd April – 22nd May) to the #Connected collaborative collective. As many collective arts groups do the embryonic stages of the #Connected group saw them spawn out of an interest group on the community photography site Flickr and growing through a variety of ‘local’ venues. But, a little over 6 years ago the groups organising volunteers lead by passionate collaborative photographers Rob Knight and his now wife Karen realised the group, the exhibition and the opportunity to bring a diverse range of photographers together was changing. In a world of online and social media the geographical spread of photographers taking part in and an interest in the event was ever growing……….. it wasn’t just about a local collective of photographers bringing their images into print for the public to enjoy it was as much about a wider sense of community and creative exploration and about bringing photographers together who may be connected by the online world and giving them a chance to work together, exhibit together and meet up and share a celebration with the public about their passion for photography in all forms and genres. To bring together photographers from across the UK and world of all levels and abilities. To enable photographers to exhibit on equal stature regardless of being amateur or professional, of all ages and all genres. To offer an 'open' and inclusive exhibition policy with no stuffy selection committees. To break down as many barriers as possible that prevent people from exhibiting their work. To provide opportunity, support and encouragement enabling people to exhibit their work. To foster an atmosphere of collaboration and community. 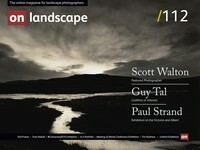 To promote photography and it's appreciation within the wider art community. To promote the enjoyment and appreciation of printed photographic work. To give everyone the opportunity to exhibit their work at a world renowned arts venue. To promote the enjoyment of photography and art for all. To enable #Connected to support all the contributing photographers there is a key belief in great relationships and partnerships with our paper and print partners Fotospeed (who are also supporting our Conference Exhibition in November) who have been a massive support in both expertise and sponsorship for the event along with our local framing partners Picture Parade at Killamarsh in Derbyshire where Darren and Keith provide a service with skill, passion and attention to detail that helps present all the photographers works to the very best. Each year #Connected has a very lose theme for the exhibition, this year it is ‘Individuality’ where we look to celebrate the power of the collective and the individual creativity of everyone involved. We don’t want to be limiting in setting tight themes or boundaries but rather give photographers, no matter what stage they are on their personal creative journey, the freedom to express and explore the photography that inspires and excites them. Over the last 5 years the opening event has featured a selection of ‘creative illustrated talks’ aimed at inspiring and helping everyone along that creative journey by hearing about the experience and journey of others, in the past we’ve had talks from some fantastic members of the photography community who’ve given their times and experience freely to #Connected to help us celebrate this creative gathering. Last we had inspiring talks from Mark Littlejohn and Lizzie Shepherd with Dav Thomas and David Baker the previous year, Doug Chinnery and Pete Bridgwood in 2013 and kicking off the presentation series in 2012 was local respected landscaper Chris Newham. This year on the 30th April at Patchings our guest speakers will be the immensely talented and inspiring Guy Aubertin and Vanda Ralevska who will discuss their personal creative journeys as well as presenting their inspiring images. The talks kick off at 1pm with a break between the two guest speakers for a charity print auction. #Connected as an collective is hugely passionate about the importance of giving something back to the community each year and being able to support a charity. In previous years we have supported When You Wish Upon A Star and Mind, this year the chosen charity is the Nottingham based Van Geest Cancer Research Centre and a number of photographers have kindly donated printed works which we will auction at the opening event to support the charity in their important research to find a solution to cancer something which now will affect either directly or indirectly 1in2 of us! #Connected is a truly open exhibition of photography, it is open to anyone to get involved in any capacity with the aim of giving photographers a chance to exhibit their creative works at a fantastic arts venue, we are already planning for 2017 which will be the 10th Anniversary exhibition and will feature a lot of special events at Patchings, more great guest speakers and we are also in discussions with publishers to bring a ‘Retrospective’ collection of the creative work of our participants together in book format. If people haven’t had chance to get involved this year, the spaces were snapped up within 36 hours of announcing opening up, come along to the opening event take inspiration from the talks, meet an amazing group of photographers from all over the UK, chat and discuss and importantly think about getting involved for the big ‘10’ in 2017. Nottinghamshire is becoming a creative hotbed of photographic events with the annual #Connected exhibition leading into the Patchings Art Festival in June each year and bi-annually the Masters of Visions event in Southwell. All events driven by one key ethos ‘to celebrate the creative work of photographers’. Saturday 30th April – 10am to 5pm @ Patchings Art Centre, Oxton Road, Calverton, Nottinghamshire, NG14 6NU. Guest Speakers Guy Aubertin & Vanda Ralevska from 1pm. Finally to mention at the opening event, our partners and sponsors Fotospeed (who are also supporting out Conference Exhibition in November) will be present all day with their superb range of papers, excellent ink system and lots of deals and helpful advice for guests. We look forward to welcoming you at the #Connected2016 opening on the 30th April and don’t forget it’s a completely FREE event although you can get involved in the charity auction to help us support the charity and you can buy the excellent framed work that is exhibited. Come an join us for what promises to be the photography event of the spring once again.